On New Years Day, I stumbled across an article where chef's across the US named 2015 food trends. Something that grabbed my attention was Tennessee Hot Chicken. I was instantly intrigued and started googling away, only to find myself making this delicious dish hours later. This recipe I used was from Foodnetwork.com and is from Hattie B's, a very popular restaurant in Tennessee. It is by no means a healthy recipe and if we eat fried chicken, I typically oven fry it. However, I was in a mood this particular day and didn't care about nutrition. I did draw the line on using melting lard and used hot frying oil instead. 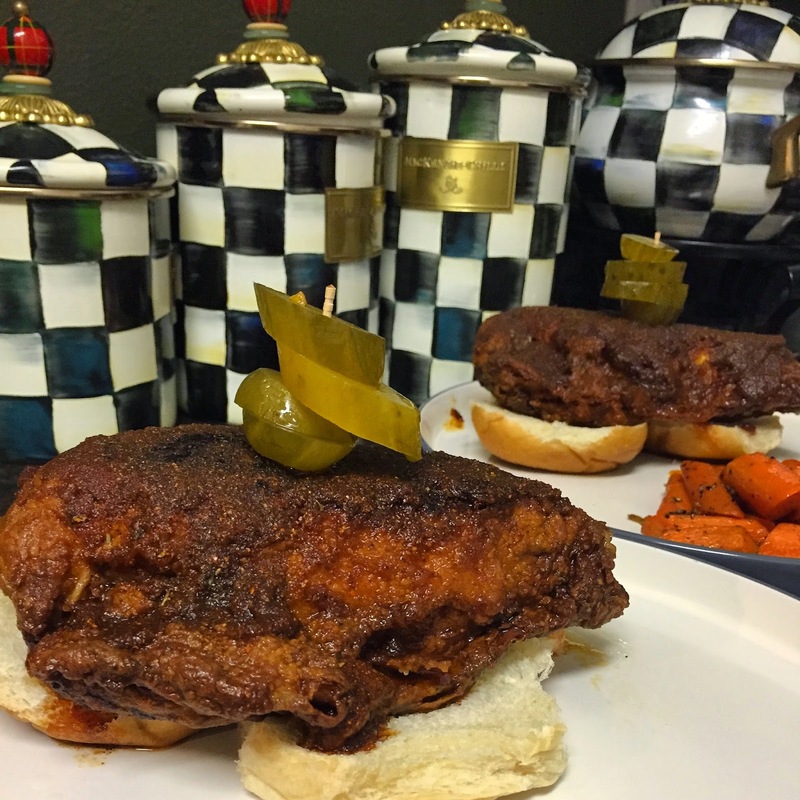 Tennessee Hot Chicken was the perfect mix of sweet and spicy and I will make this recipe again.